There is no doubt that when I go back to look over what I've read this year (hence this reading journal), this book will probably be at the top of my favorite books of all categories for 2016. I loved this book. Hear me? I said LOVED. I don't often express my LOVE for a book in all caps, but this one just blew me away. His Bloody Project was nominated for this year's Man Booker Prize, and made it through to the shortlist, so evidently the judges thought it was great too. It was so good, in fact, that although I'd decided to read the entire longlist this year, after finishing this one I knew I'd found my winner. How the official judging plays out may be a completely different story, but this would be my hands-down choice for sure, so no point in reading further down the list for me. The time is 1869, and a young (17) Roddy Macrae of the small remote village of Culduie, Scotland has just killed three members of one family. His family and the other villagers are crofters, ekeing out a harsh, miserable existence, and are always at the mercy of their benefactor "the factor," and his representative in the village, the Constable. Roddy confesses right away, and there is absolutely no doubt whatsoever that he is guilty. But the major question in this novel is "why?" 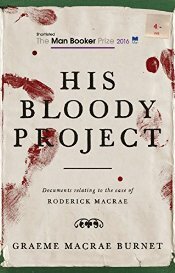 and the story surrounding the murders is revealed slowly via different sources in this book: Roddy's memoir, written "at the behest of [his] advocate," witness statements, police statements, psychological assessments, and other voices that join in to tell the story. However, there's a big catch: from page one on, it becomes very clear that truth and perception are in the eyes of the beholders, and that both may just be slippery and elusive. I'm really not going to say more than that little bit about the plot, because really, it's a book that should absolutely be experienced on one's own. It's a stunningly superb novel, and aside from offering readers the challenge of trying to piece together what may have actually happened and why, the author has done an excellent job here in bringing us into life in the small, rather claustrophic village of Culduie, mid 19-th century. I'll just note that aside from the mystery of the why, the social, political, religious and class explorations in this novel elevate it to something well beyond anything else I've read this year. Reading this novel at a slower pace pays dividends, and it is definitely a book to be savored. I cannot recommend it highly enough, and I will say that anyone thinking about it would be wise to avoid any reviews or reader posts that give away much more than what's on the back-cover blurb or what I've said here. I'll also say that it is a story that demands active reader participation -- it's a thinking person's novel that really demands close attention, but also one that highly satisfies in the end. Sheesh! It seriously just does not get better than this!!!! 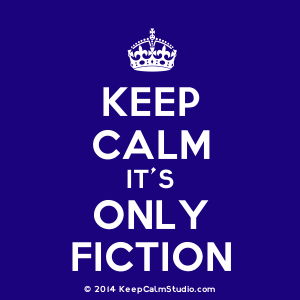 Labels: 2016, favorite, fiction from Scotland, historical fiction, in love with this book! I'm sold! This just moved to the top of the TBR list. I'm reading it but somehow the mojo isn't working/ I'll try again. I do appreciate learning about croft life and the class system there; it is oppressive. That part is fascinating, for sure. Don't read it as a crime novel -- that might help. Yes. Agree. I didn't read it as a crime novel, but as an expose of croft life and how tough life was for the farmers and their families.